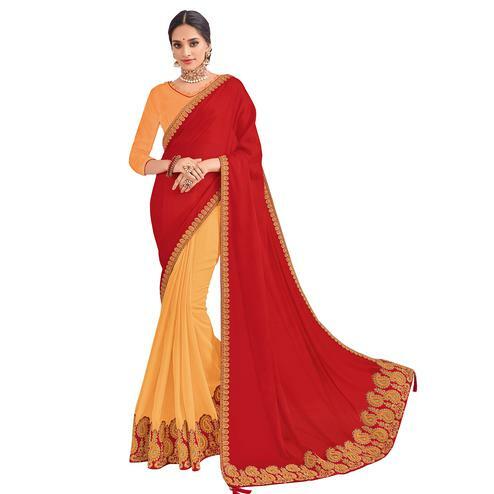 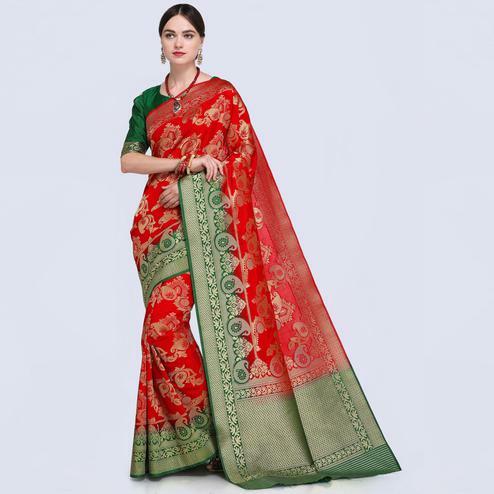 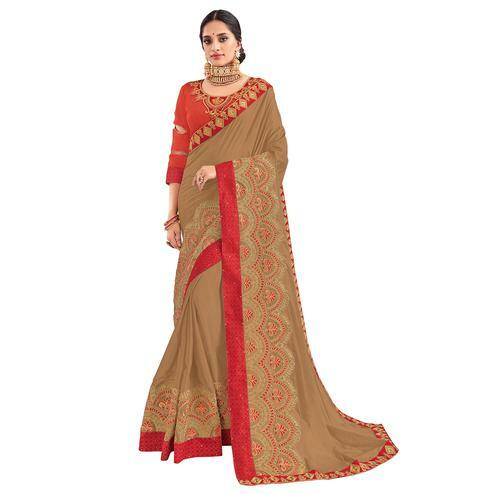 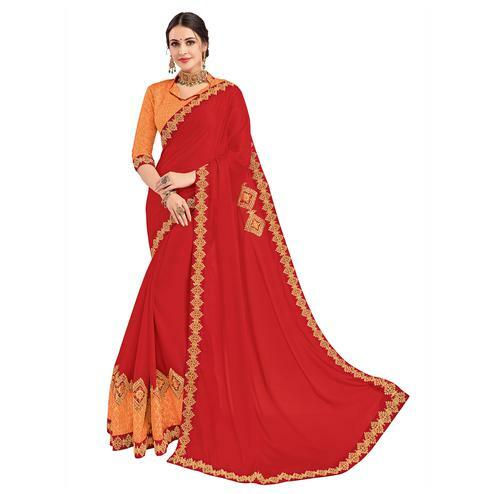 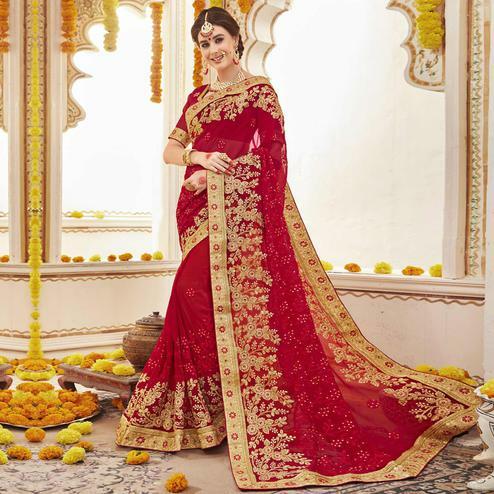 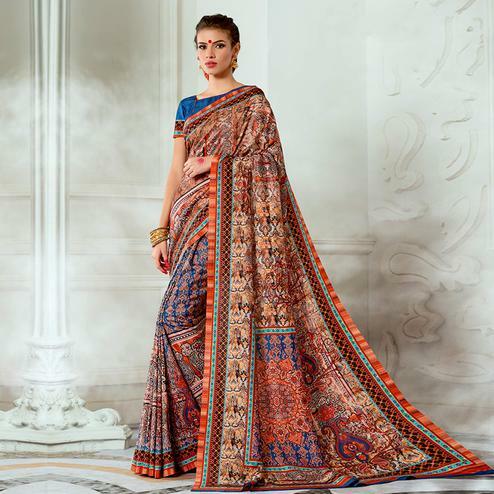 Brown - red saree crafted in tussar silk fabric features checkered design at body big pasiley floral motif's at lower part and small paisley motif's within the border. 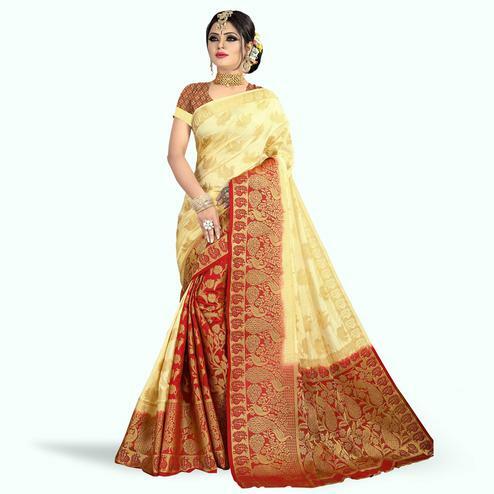 Available with black printed blouse piece attached at the end of the saree. 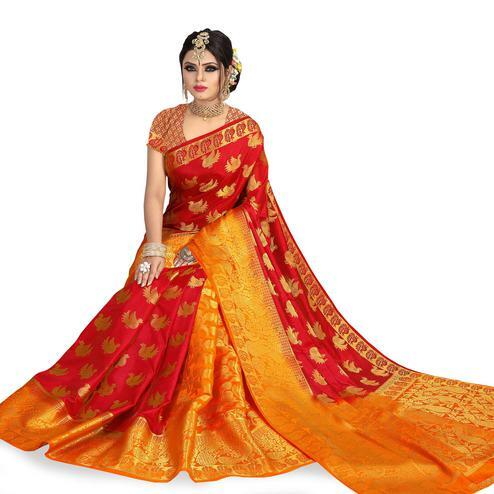 Suitable to wear for casual parties events and functions.